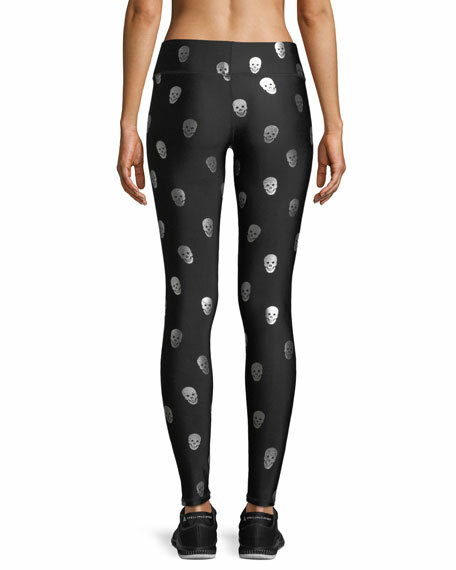 Terez leggings with starry eyed skull foil print. For in-store inquiries, use sku #2540445. 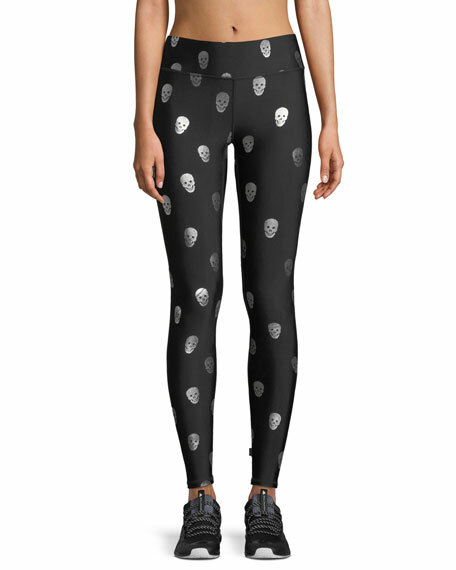 Terez foil printed high performance leggings. Moisture wicking, breathable fabric doesn't stretch out. Approx. 27" inseam. Tall, 3-inch waistband. Second-skin fit. Full length. Pull-on style. Nylon/spandex. Machine wash. Made in USA. 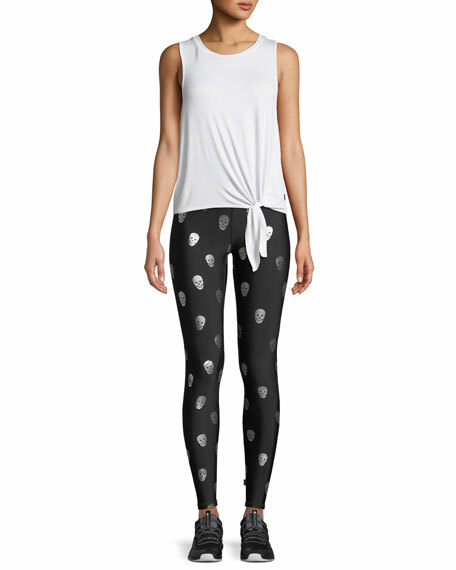 Terez leggings from the Disney x Terez collection featuring Mickey Mouse with star pattern. 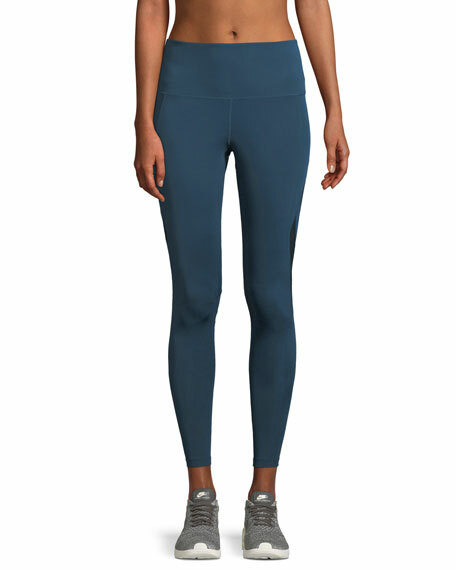 Moisture wicking, breathable fabric doesn't stretch out. 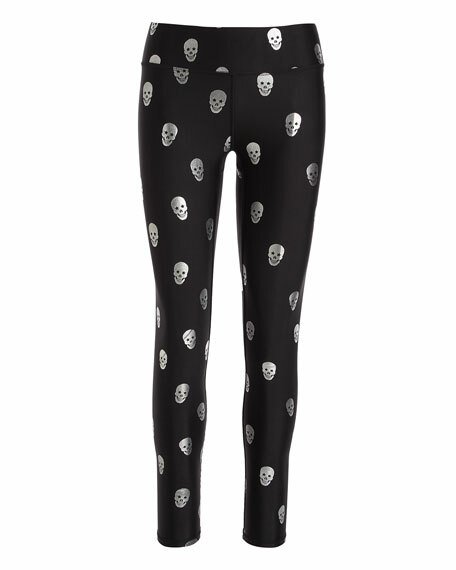 Tall, elasticized waistband. Second-sin fit. Ankle length. Formfitting silhouette. Pull-on style. Polyester/spandex. Made in USA.